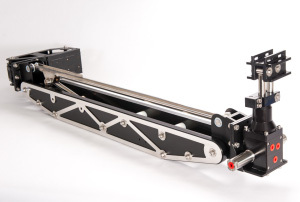 The HLK-4600 is a rugged Camera Boom Arm designed to inspect 36" diameter pipeline. Constructed from predominantly plastic and stainless steel, these arms can be operated from Hydro-Lek's standard Hydraulic system and can be fitted to any ROV. 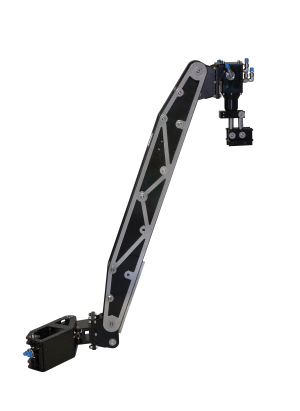 The HLK-4600 is a rugged Camera Boom Arm incorporating HLK 2150 pan & tilt designed to inspect 36" diameter pipeline. Constructed from predominantly plastic and stainless steel, these arms can be operated from Hydro-Lek's standard Hydraulic system and can be fitted to any ROV. The HLK-46000 is a compact Camera Boom, lighter in weight than the HLK 4600 and suitable for mounting on smaller ROVs. 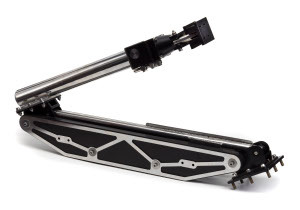 The main limb comprises two sections operated from one hydraulic cylinder and is capable of measuring around one metre of pipeline.